Something to do this weekend! It will be worth the walk! 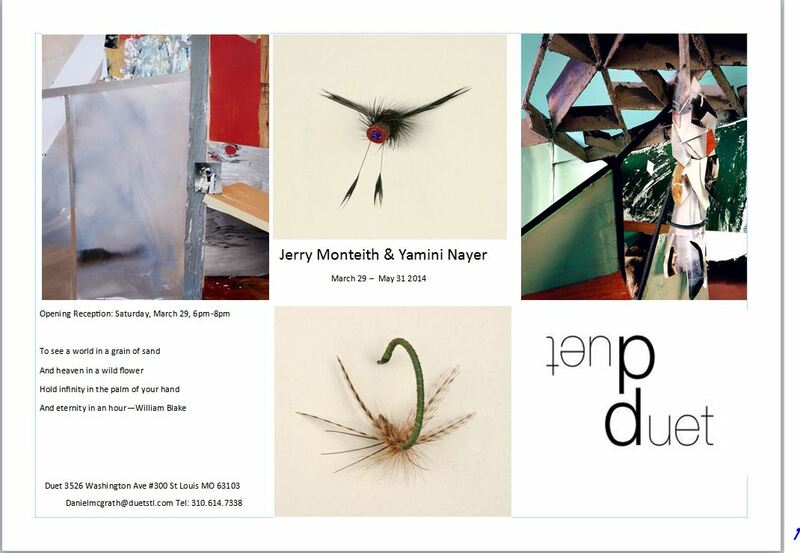 artartist pairingDuetnew exhibition to visitweekend openingworth the walk! The wine could tempt me! Looking forward to a report on it. You got me all excited. We have The District not far from my house and I thought I might go tonight. Then I read that your district is in St Louis. I wanted to stay a bit closer to home tonight. But thanks for the invitation.